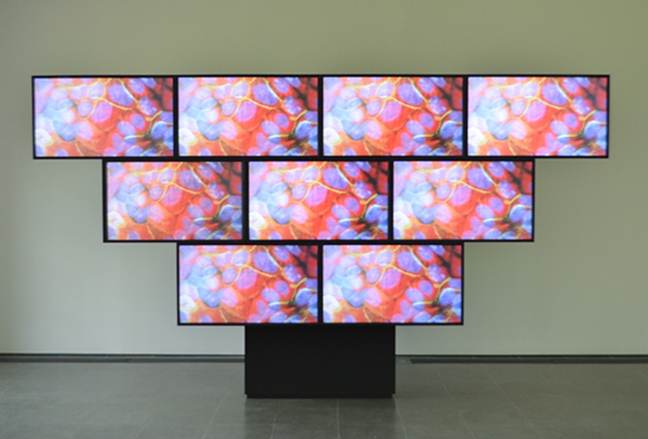 Leaps Jumps and Bumps is the first solo exhibition of the work of Sturtevant to be held in a public institution in the UK. 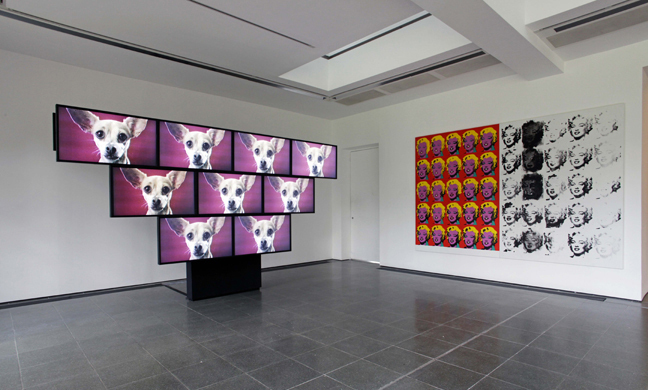 Born in Lakewood, Ohio, and based in Paris since the 1990s, Sturtevant has made ground-breaking and enigmatic work since her first exhibitions in New York in the mid-1960s. Best known for the repetition of works by other artists – including Joseph Beuys, Marcel Duchamp and Felix Gonzalez-Torres – she made her controversial artistic debut in 1965 when she replicated Andy Warhol’s flower paintings, just months after their initial presentation. 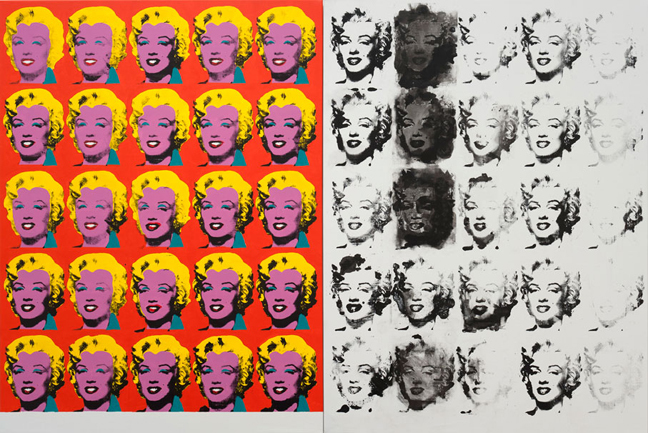 Despite early hostility to Sturtevant’s work and ideas, her influence has grown significantly over the past two decades. Many now regard her as one of the most important artists of the 21st century, realising that she presaged the world we live in today with its deluge of unattributed information and repeating imagery. Central to her thinking is the relationship between repetition and difference. The works are not ‘copies’ but probe beyond the surface to demonstrate the power of Gilles Deleuze and Michel Foucault’s thinking about repetition. She does this through the wholesale recreation of the work itself, without recourse to mechanical reproduction of any kind. Leaps Jumps and Bumps will showcase Sturtevant’s work since the 1970s, including core works that demonstrate the wide variety of media she has embraced. 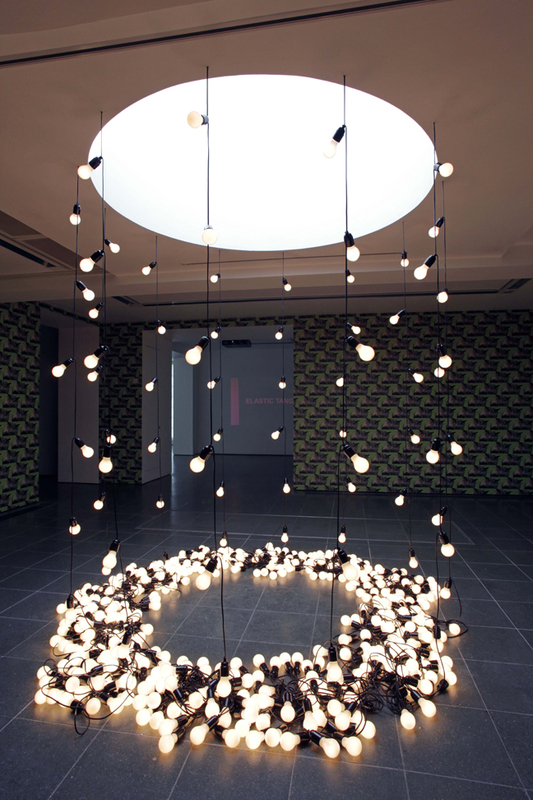 The exhibition will include the large-scale video work, Finite Infinite, 2010 and a piece comprising garlands of light bulbs, Gonzalez-Torres Untitled (America), 2004, an earlier version of which was shown at the Serpentine Gallery in 2000 in the Felix Gonzalez-Torres exhibition.